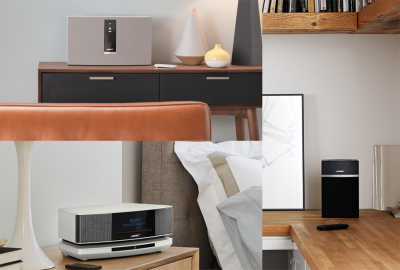 SoundTouch gives you wireless access to your favourite music services like Spotify® and Deezer, plus Internet radio stations and your stored music library. They connect to your home Wi-Fi® network so you can play music directly from the Internet to the system itself—or hear anything you want from a phone or tablet with Bluetooth® technology. The beauty of SoundTouch systems is that they're made to grow with you. If you start with the SA-5 amplifier hooked up to outdoor speakers, you can add more at any time: It could be in-ceiling speakers in the basement, your home stereo in your living room, then a SoundTouch® 10 speaker for the kitchen. Sync them all together to play the same music in every room, or different music in different rooms. They're made for the way you live, and the way you listen. 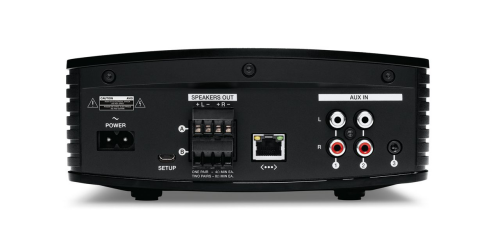 The SA-5 amplifier has three aux inputs so you can connect non-streaming sources, like a CD player. It can also run two pairs of speakers in parallel, so you can wire four speakers to the amp.